Short answer: An ice dam is the ridge of ice that forms at the edge of a roof which prevents melting snow from draining as it should. The water that backs up behind the ice dam can leak into the home and cause damage to walls, floors, ceilings, insulation, and other areas. Nine types of ice dam damage:? Where do ice dams happen: Most ice dams occur on the lowest edge of your roof. However, we frequently find them in other locations. Short answer: Roof ice and ice dams result from the escape of heat into the attic or roof space This heat builds up and eventually melts snow on the roof, which runs to the cold edge of the roof and forms an ice dam. Factors such as ventilation, insulation, solar orientation, tree coverage, home architecture, snow cover and weather conditions all interact to determine ice dam activity on every home. Because no two houses are the same, it is common to have neighboring homes on two ends of the ice dam spectrum; one may have major leaking, while the other is virtually unaffected. 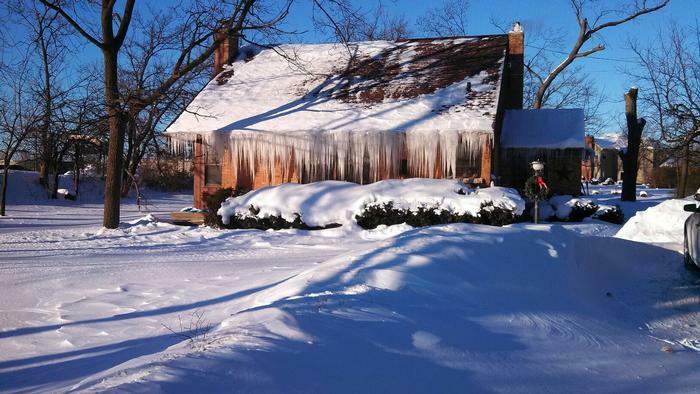 Tips on preventing damage: Preventing damage from an ice dam is pretty straight forward. It’s all about being proactive. When you think you may have a problem, it’s time to call S&L Exteriors. We only use steam for ice dam removal (roof ice and gutter ice removal). Any other approach is too risky because roofs are easily damaged in frigid temperatures. Ice dam removal using a hammer or other impact-based instruments can result in costly damage. Gutter ice removal or roof ice removal using a power washer can also do significant damage. There are many ways to remove ice from a roof.There are only two non-mechanical method of ice removal; ice-melt compound and heat. Ice-melt compounds, including sodium, calcium and magnesium, are an effective way to manage ice under some circumstances. However they can and do cause harm to a variety of secondary surfaces, such as, aluminum, copper, concrete, and a variety of leafy plants can be damaged severely. It is always best to measure the costs versus the benefits when considering the use of ice-melt chemicals. The second non-mechanical method of ice removal is dry heat. In the case of ice dams on roofs, steam is the fastest, most effective and safest to the home. This is why we prefer roof ice and gutter ice steaming. Aside from changes to the ventilation and insulation systems, clearing snow from the roof is the most effective method of ice dam prevention. 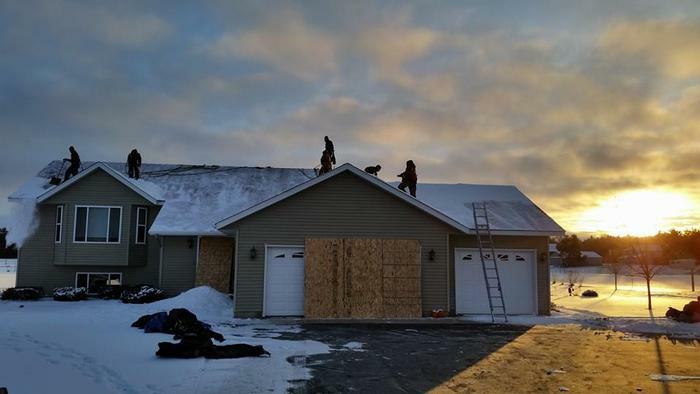 We have removed snow from roofs as large of 500 square feet and as small as a heated shed. Larger roofs usually require two or three crews, a crane and multiple walk-behind snow movers. Either way, there is no project too large, or too small.